Karla Estrada, the mother of the teen heartthrob 'Daniel Padilla,' joined the blind auditions of The Voice of the Philippines season 2. The four coaches are so happy while listening to the 1992 hit "What's Up," originally sung by 4 Non Blondes. Estrada was so braved to try the blind auditions of 'The Voice of the Philippines,' This is also her dream to compete in the prestigious singing contest in the country. 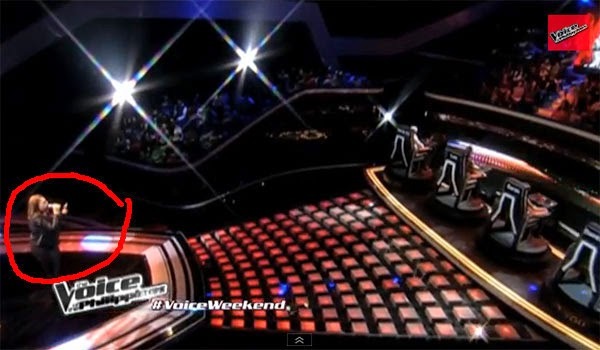 She said, "Gusto ko talaga, pangarap ko talaga na sumali sa 'The Voice' dahil 'kontesera' ako. Itong competition na ito, ito na 'yung height ng singing contests for me na kailangan kong matupad na salihan." Unfortunately, no chairs turn to her but it's good enough that she tried her best for her dream. As she said, "No matter who you are, where you are from. Dreams come true. Thank you Lord. I was really waiting for this night. I said no matter what, I just want to experience it and I am so happy." Karla Estrada blind auditions video has gone viral, as of writing this post, the video already garnered 176,604 views on Youtube and still counting. Comments or suggestions about "Daniel Padilla's Mom joined blind auditions of The Voice PH 2" is important to us, you may share it by using the comment box below.